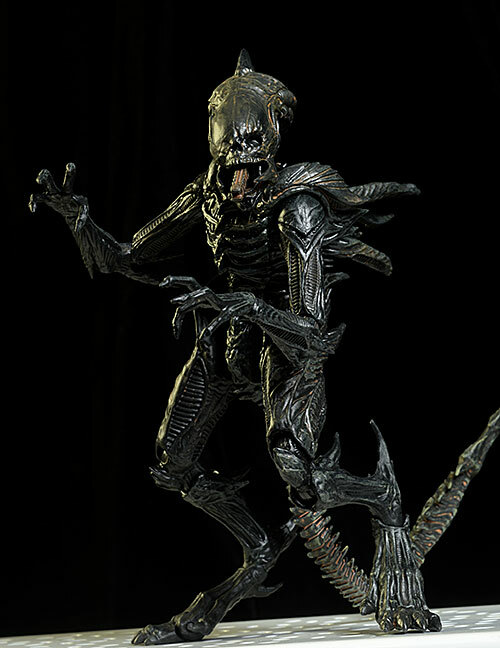 While the video game Aliens: Colonial Marines doesn't have the best reputation as a game, it does include some interesting new xenomorphs. 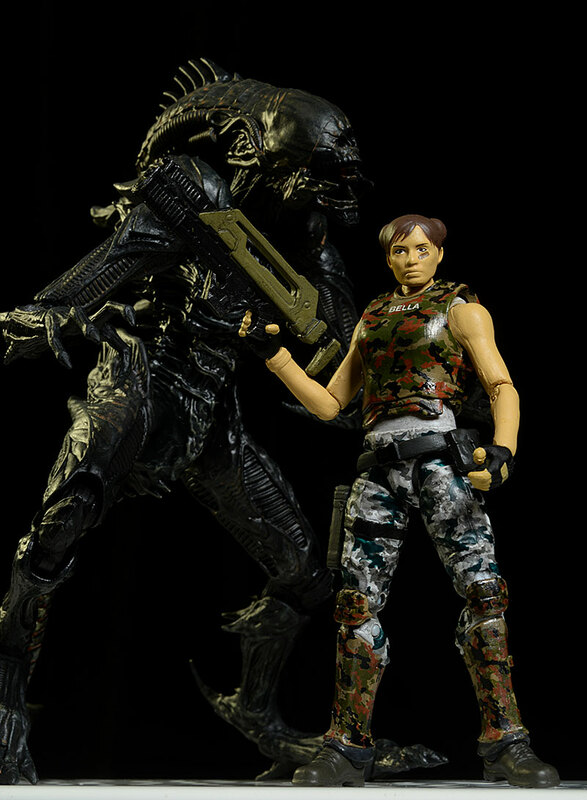 As part of their overall 1/18 scale series of action figures under the Aliens license, Hiya Toys has been incorporating some of these beasties. 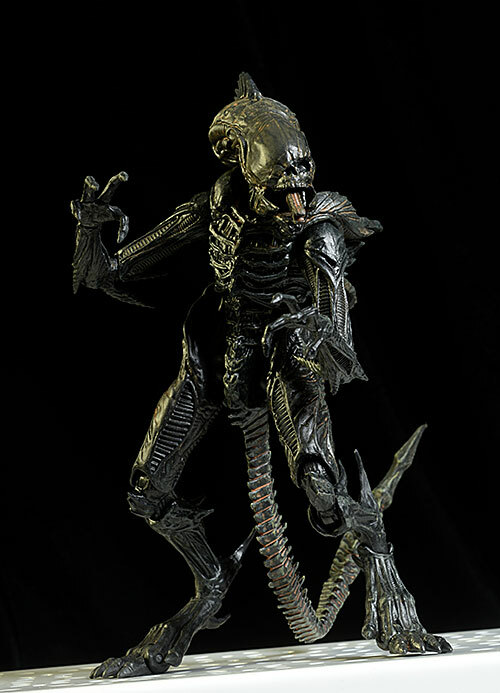 Tonight I'm checking out the Xenomorph Raven, a very large crossbred species with a super hard skin and lots of spikes. 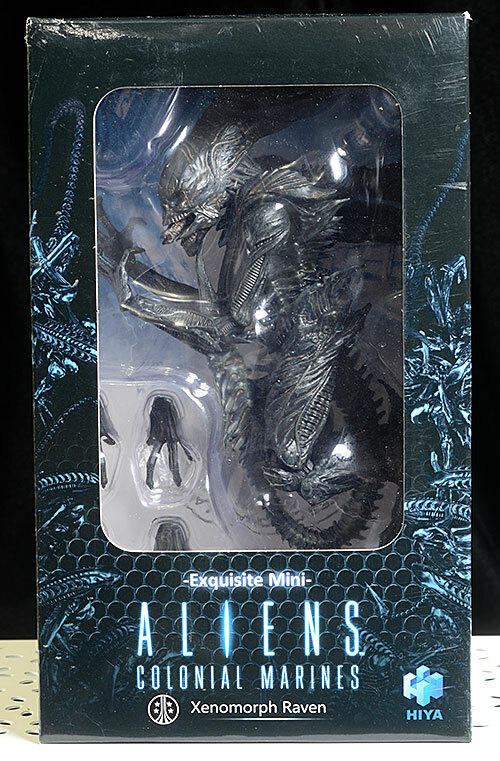 This guy is just starting to ship, and will run you around $40 depending on the retailer. The box is pretty standard stuff, but you can see the figure clearly through the large window. 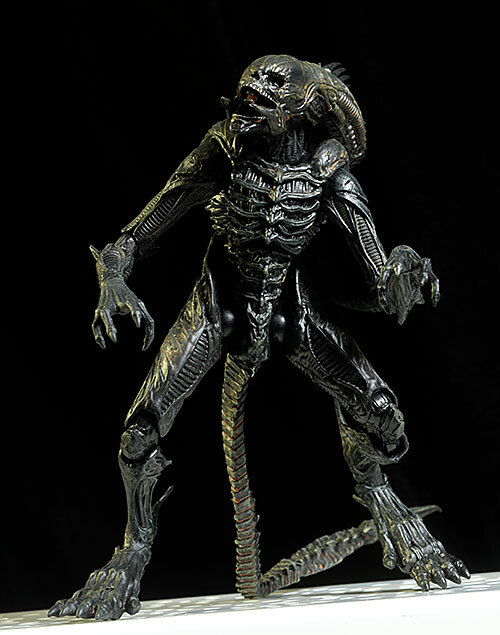 It's also collector friendly, if you should wish to return him to his plastic prison at some point. 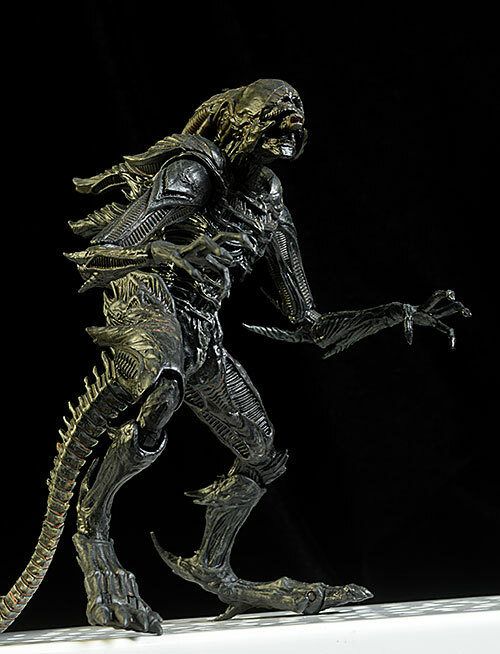 This is a big dude, and in 1/18 scale - where the human figures are around 4" tall - he stands close to 6 1/2" fully upright. Of course, most poses will have him with bent legs, but he still takes up and impressive amount of volume for a figure in this scale. The sculpted skin texture is quite well done, with a ton of small detail. The exoskeleton is well defined, and the tiniest edges are sharply cut. One nit would be with the 'teeth' on the mouth of the skull, which are a little soft. 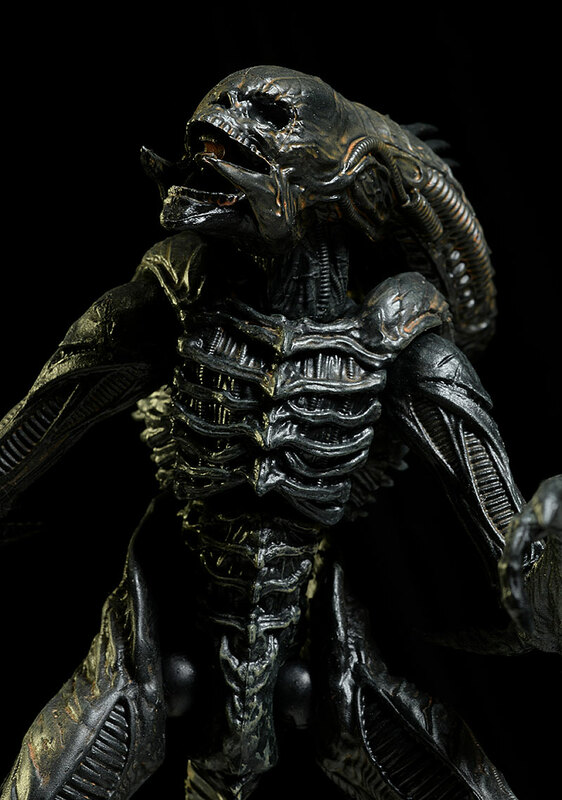 But it's a pretty minor nit with an otherwise great looking sculpt. My biggest nit is actually with the interior mouth. It does not extend straight, but rather on a slight angle, making him look far more toy-ish when it is visible. The figure has a nice wash that brings out the sculpted details and adds a little color to the otherwise basic paint job. This wash allows them to highlight the appearance, but had they overdone it, the effect would have been the opposite. There's just the right amount of color to make the figure pop, and match the game appearance. He also has a more matte finish than the earlier Crusher figure, cutting down a bit on the wet look. I think it's a good compromise - he looks a little slimy, but not actually wet. There's a number of joints, but they don't necessarily work well together. The ball neck does work nicely though, and you can get some decent tilt and lean. The interior mouth extends, but it does so independently, often dropping out when you don't want it to. As I mentioned earlier, it also tends to lean to one side rather than extend straight. The rotating hinge shoulders are a little tight, but combined with the ball wrists and rotating hinge elbows, you can get some very menacing arm poses. The ball hips don't have a ton of mobility though, and the double pin knees, half foot pin, and swivel ankles tent to be loose and floppy. Thank goodness for the bendy tail, because you will be able to solve many of the leg problems by placing the tail on the ground in an appropriate spot. 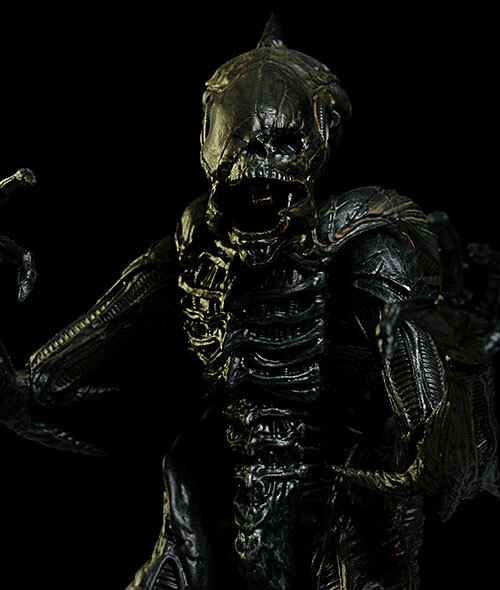 There's not much extra here, but I'm not sure a xenomorph needs a lot of extras. There are two of the grate-like bases, with a foot peg on each. You'll need both due to his large size. There are also two extra sets of hands, which swap pretty easily. There isn't a ton of difference in the sculpts, but there's enough to create slightly different looks in the pose. 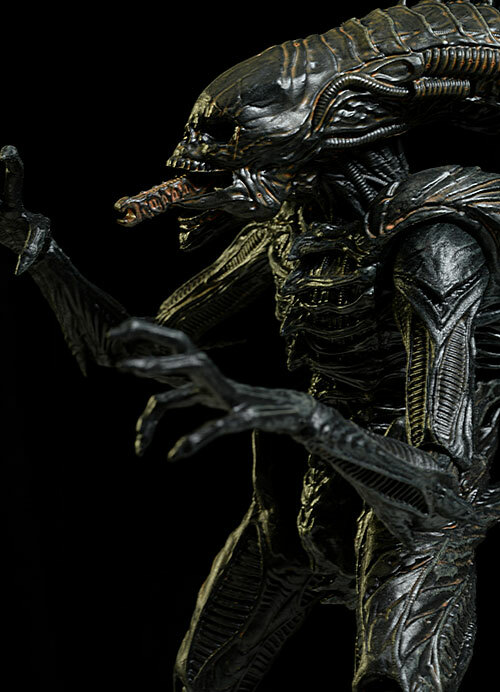 You'll have plenty of fun with this guy, even with the slightly wonky articulation. Add in a few of the marines, and you can create some great looking battles, and if you have a youngster that likes their monsters, this guy will make the perfect villain for any action scenario. It looks like average retail for this guy, like the Crusher, is around $40. I have one sponsor selling it for $35 as well. That's a bit tough to swallow, considering the scale. 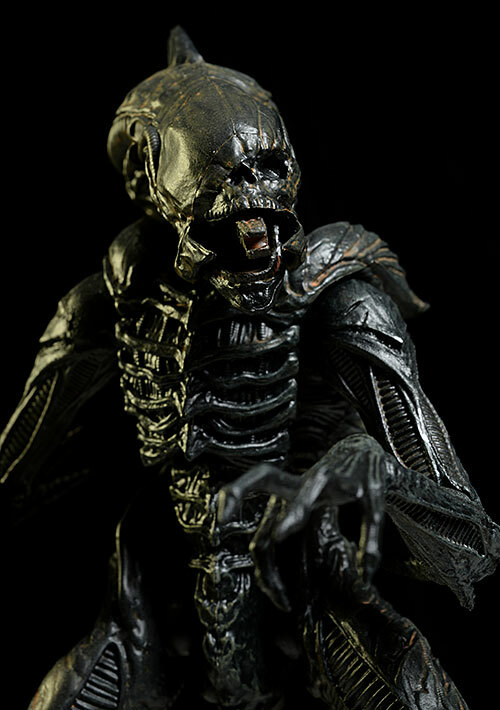 However, as an import, and an import with a ton of great sculpt detail, I'm not particularly surprised by the price tag. If the articulation was a little better, I'd go that extra half star here. 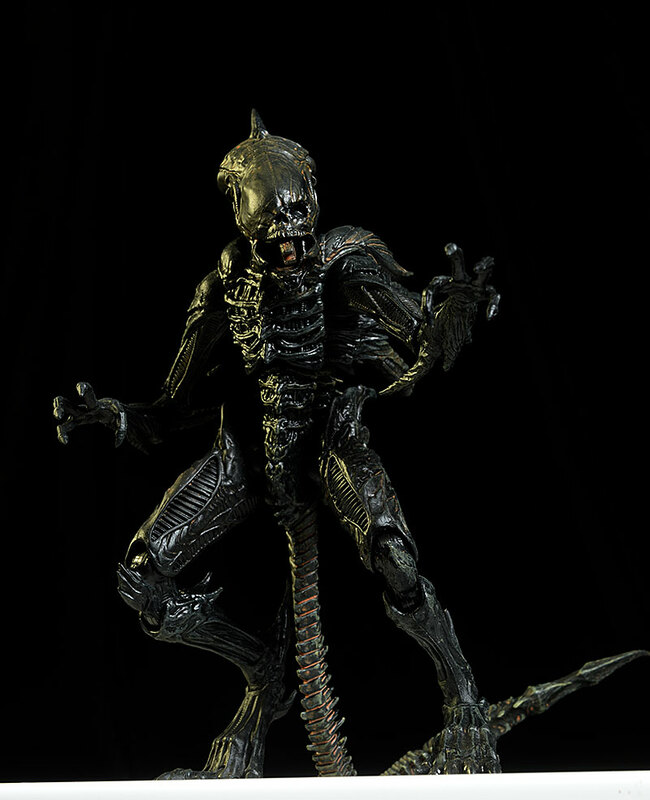 While fans of the Alien franchise might not love the game, there are some very cool xenomorph designs. The Raven is one of them, and this version is well sculpted and nicely painted. I wish the articulation was a little tighter and more useful overall, but he pairs up great with other figures in the 1/18 scale. - has him in stock for $40. - Entertainment Earth has him for just $35. 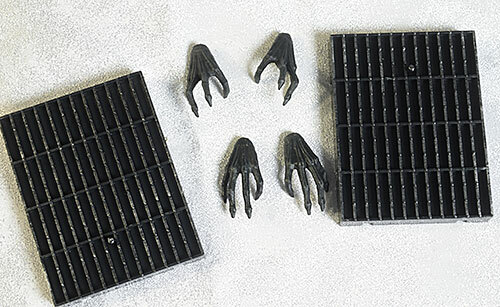 I've looked at their Xenomorph Crusher, several Colonial Marines from the game, some of their other Colonial Marines, as well as their small Predator figures.